Mind the gap are you covered? 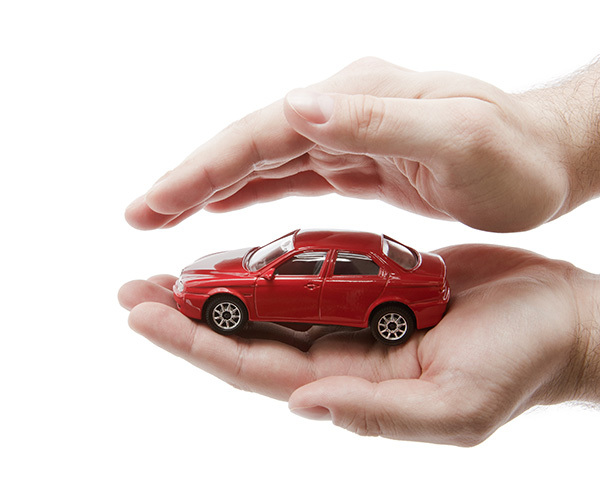 If you have a claim, most fully-comprehensive car insurance policies will only replace your vehicle with a new car during the first 12 months of ownership. So if your car is written off or stolen after the first year, you’re likely to be out of pocket despite any insurance payout you may receive. But you need to bear in mind that insurers will only pay the current market value of your vehicle, which will be just above the trade price but much lower than the retail value. 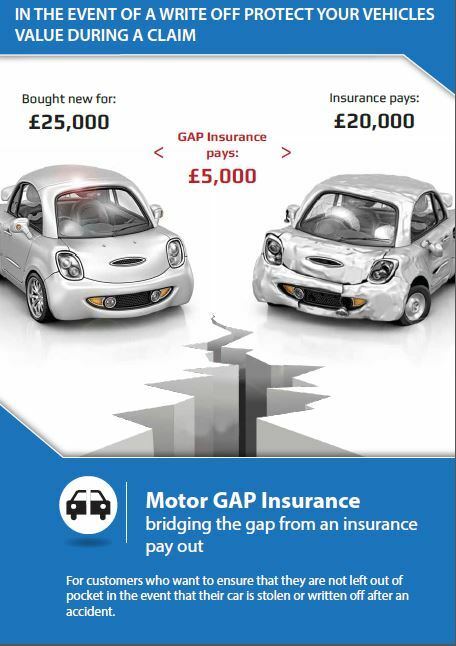 Gap insurance covers the difference between the payout you’ll get and the amount you originally paid for the car so this means you won’t face the risk of falling short and you will still be able to repay any finance you owe. It will give you peace of mind that you won’t be out of pocket even if the worst should happen, so you’ll always be able to pay off your debts. Gap insurance is a cost-effective way to protect your investment and offers cover that you won’t receive if you take out just a standard comprehensive motor policy. 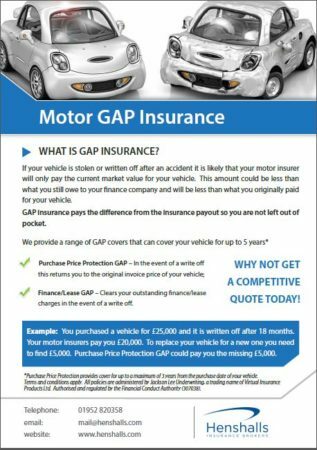 Whether you’ve bought your car through a finance scheme or a personal loan, or have a contract hire deal or even if you’re just concerned about your new car losing its value too quickly, gap insurance is a route you should explore.